Goshen, Indiana - Lois Mae Schertz, 97, died peacefully on May 24, 2017. Born amid the cornfields in Lowpoint, Illinois, she grew up on a grain and dairy farm with her parents Emanuel and Lena (Drange) Schertz, and her brothers Eldon and Vernon and sister Wilma. Lois attended Goshen College and received a two year teaching certificate, after which she started a long and devoted career of teaching. First in one room schools around Lowpoint, and later as an elementary teacher in Washburn, IL. In December of 1941, she began a 63 year marriage with Russell Schertz, and on their farm in Lowpoint they raised three children; Deloss (Rose Kraybill), Dean (Amy Blackwell), and Elaine (Don Yost). Along with teaching full-time and caring for her children, Lois continued her education at Illinois State University, receiving both her Bachelor’s degree and Master’s degree in education. In 1980, Lois and Russell retired to Goshen Indiana, where Lois found new opportunities and friends. She always was eager to have unique adventures – working for a time as a classical music deejay, serving a year as a principal in an inner city school in Chicago, and spending hours volunteering in many social service activities. Lois’s deep spiritual faith, nurtured in the Mennonite church and community, led her to have a life-long concern for issues of social justice, and she actively demonstrated this concern through her activities and her friendships. She embraced all she met with understanding and compassion offering the gift of unconditional acceptance and friendship. She imparted this gift to her children and grandchildren, along with her passion for reading, music, and an unending curiosity for exploring the world in which she lived. 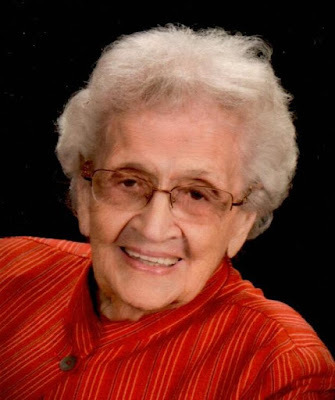 Lois’ love and enthusiasm for life will long be remembered and missed by her children and grandchildren; Benjamin Yost, Casey Yost, Jessamyn Schertz, Peter Schertz and Kate Schertz, as well as three great-grandchildren; Samantha Yost, Jaiden Yost, and Nadia Hodzic Yost. The family would like to extend gratitude to the many friends who provided so much companionship in Lois’ last years, as well as to the caregivers, van drivers and administrative staff at Greencroft who all went beyond the call of duty in providing needed care and support. A service remembering her life and gifts will be held on July 15 at the College Mennonite Church in Goshen, IN. There will be a visitation at 3 pm, service at 5 pm, and a fellowship dinner at 6. Memorial contributions may be made to the Pacific Garden Mission, 1458 S. Canal St., Chicago, IL 60607 or to the Goshen Chapter of the American Association of University Women, 1422 Hampton Circle, Goshen, IN 46526. Yoder-Culp Funeral Home is assisting with arrangements. Online condolences may be shared at www.yoderculpfuneralhome.com.